The story of Office for the iPad has been something of a rollercoaster. Depending on who you've talked to this year, the mobile app has been on, then off, then on again... if it was ever real to start with. Imagine our surprise, then, when IHNED says Microsoft Czech Republic product manager Petr Bobek "confirmed" native Android and iOS ports of Office 2013 during a press conference. 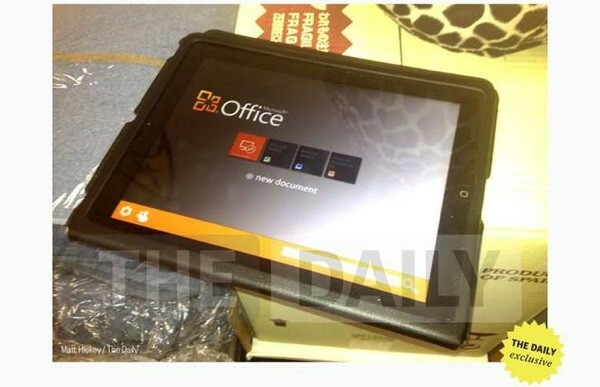 The Office division higher-up reportedly outlined a strategy where the productivity suite would reach Windows for large businesses and individuals in December and February respectively, but would reach "other platforms" later on through more than just mobile-optimized web versions. It sounds promising, but we have reason for skepticism -- assuming the testimony is accurate, there's still a history of employees at Microsoft and other companies overstepping their boundaries without direct guidance from the corporate mothership. We reached out to Microsoft ourselves, and a spokesperson gave us a relatively conservative answer. While the company reiterated statements that "Office Mobile will work across Windows Phones, Android phones and iOS," it added that there was "nothing additional to announce" regarding Office's retail availability. As much of a glimmer of hope that might represent for some Android and iOS fans, it doesn't equate to a direct Office 2013 port with a release schedule. Czech Microsoft manager claims Office 2013 will reach Android and iOS, rest of company is less certain originally appeared on Engadget on Wed, 10 Oct 2012 12:26:00 EDT. Please see our terms for use of feeds.